Full buffalo Antares for your consideration. 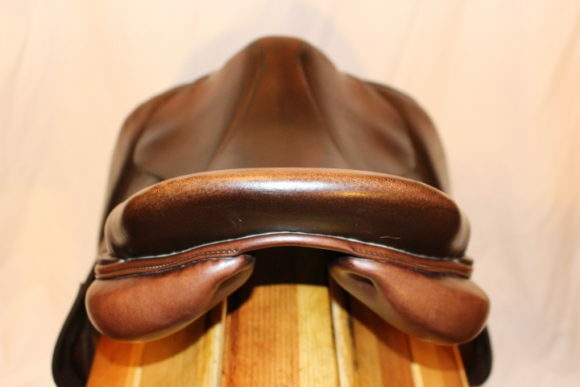 Extremely grippy, full buffalo leather! 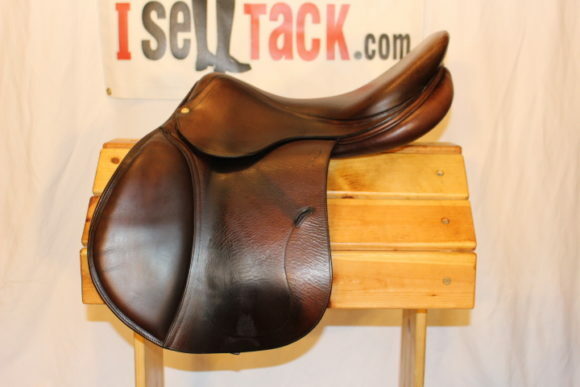 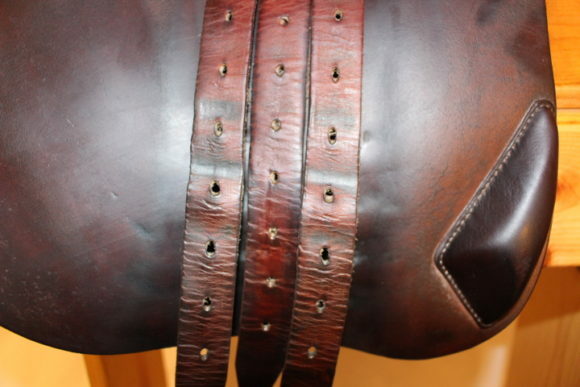 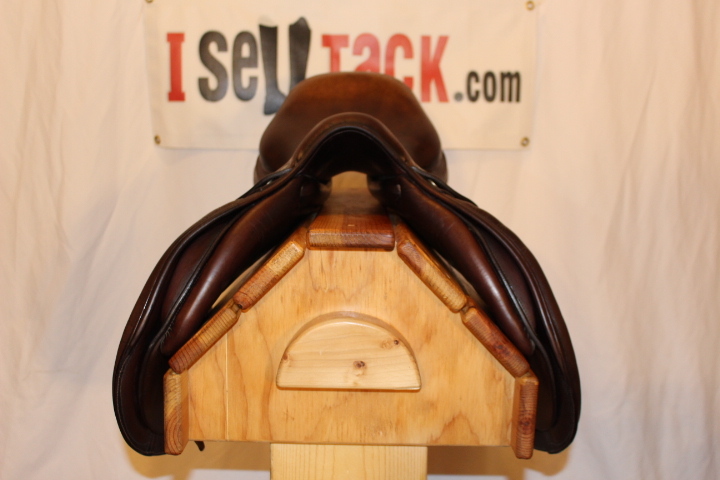 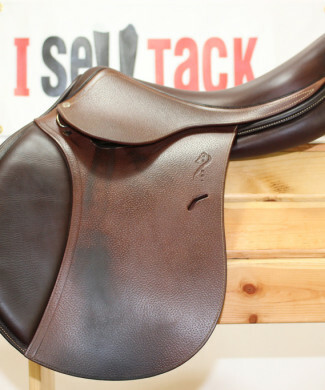 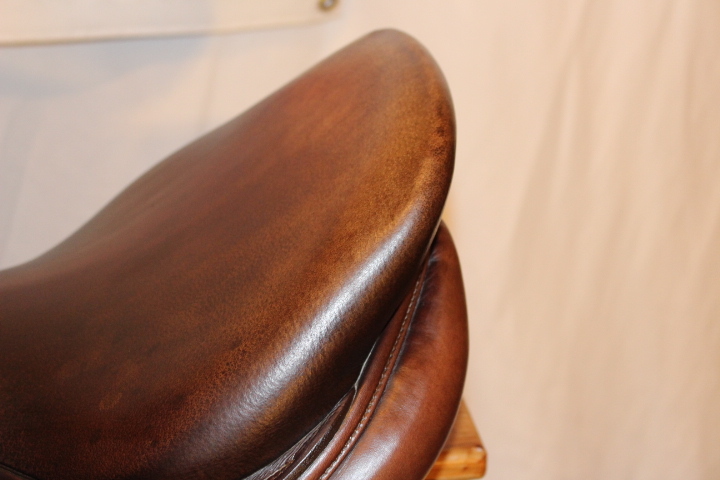 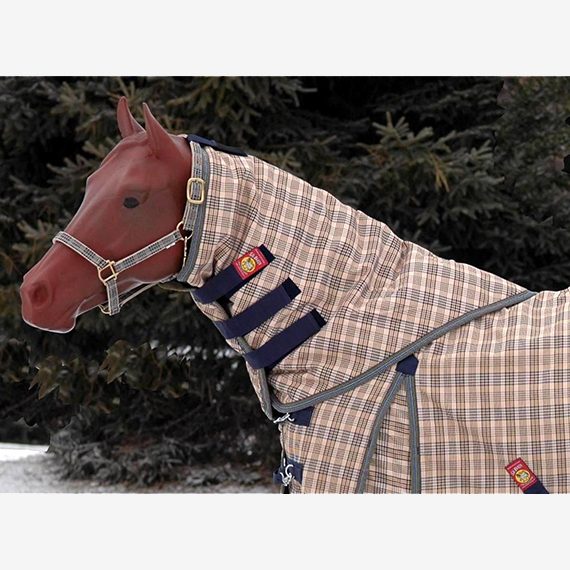 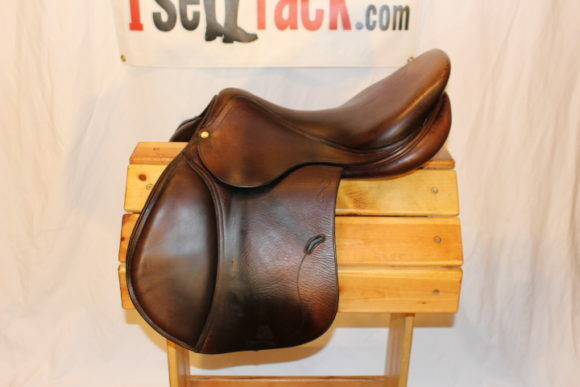 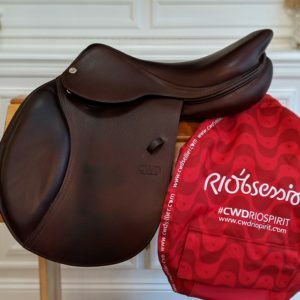 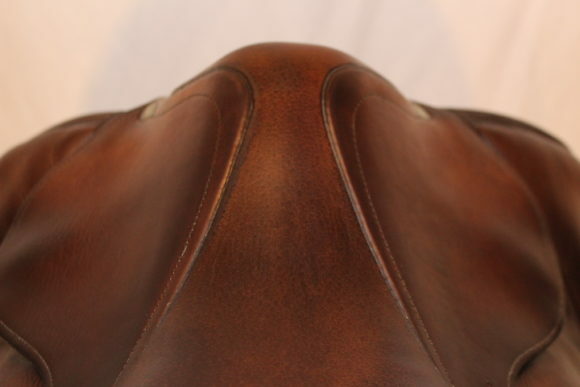 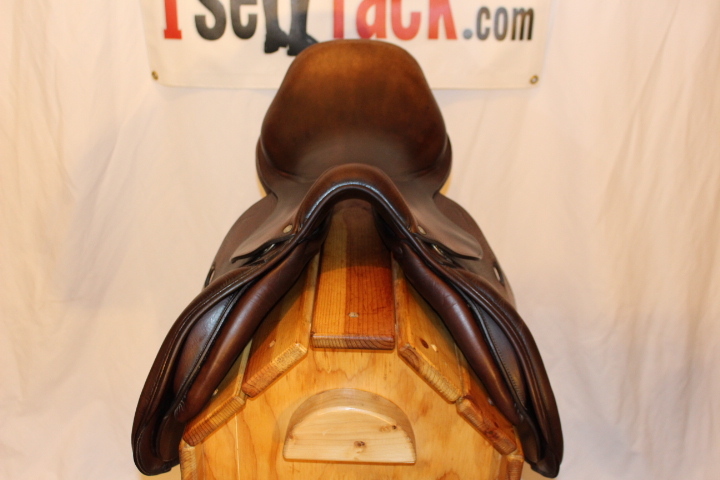 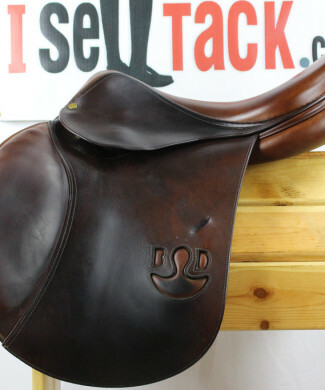 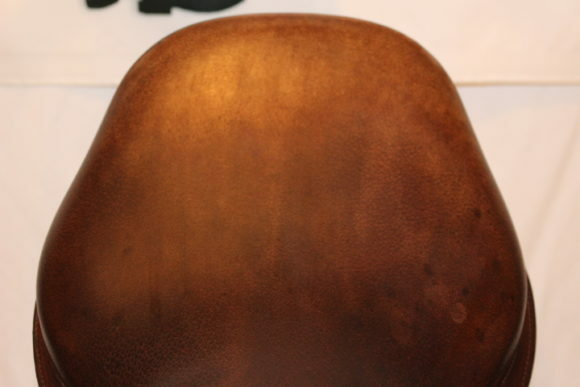 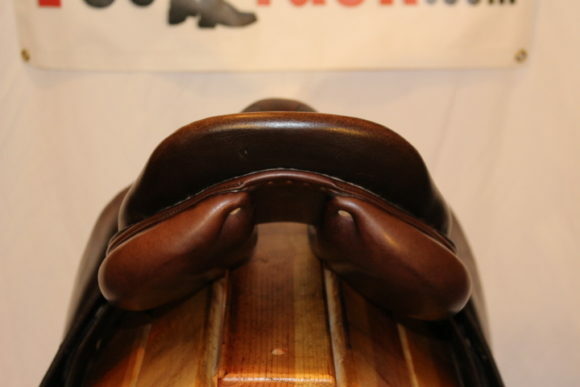 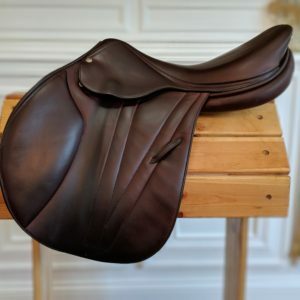 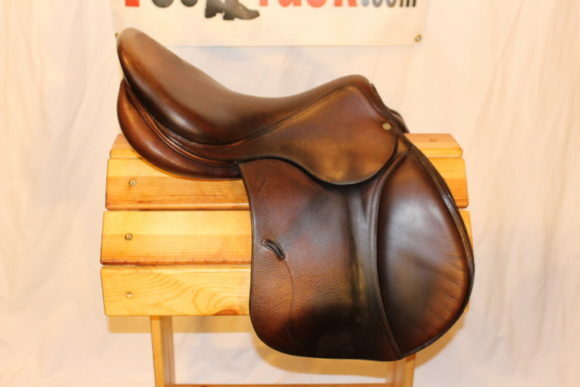 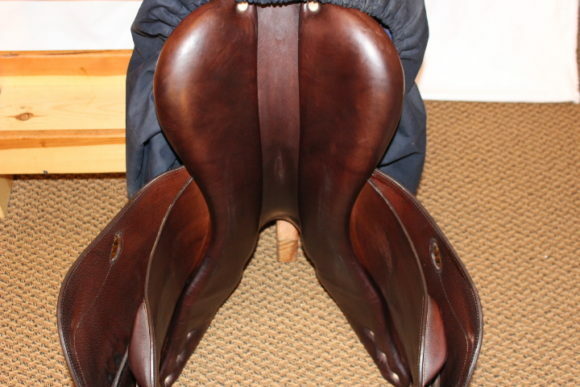 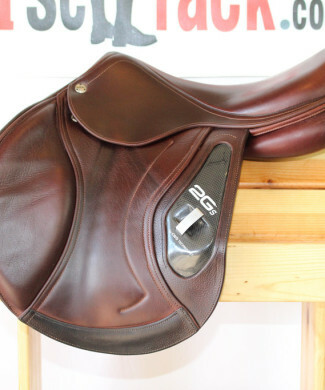 This saddle features an 18″ seat, long flaps 4AB which measure 14″ x 14″ and a tree that measures 4.5″ .. this saddle will fit a lot of horses but especially those with a curved back. 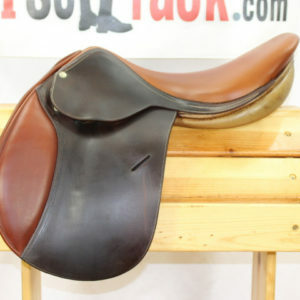 It will likely rock on a flat backed horse. 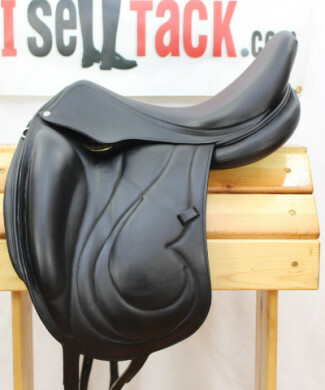 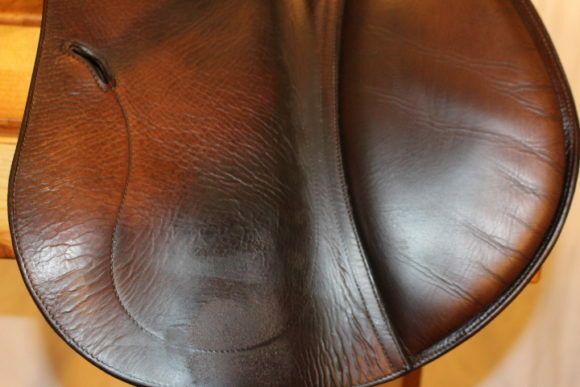 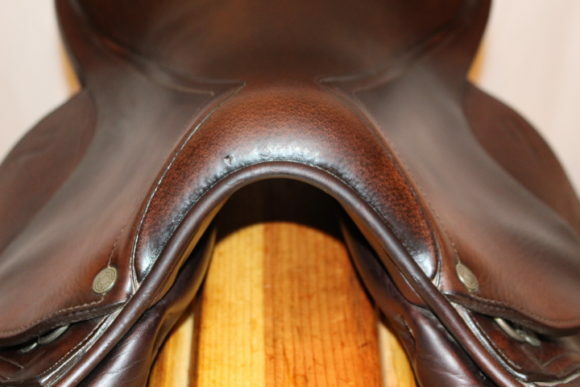 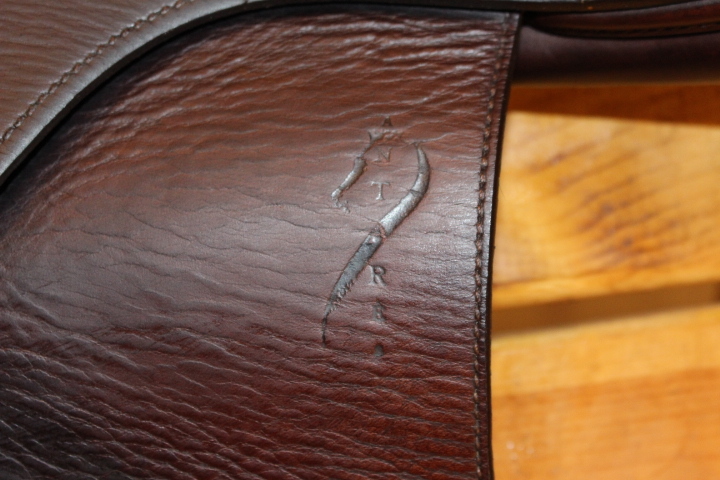 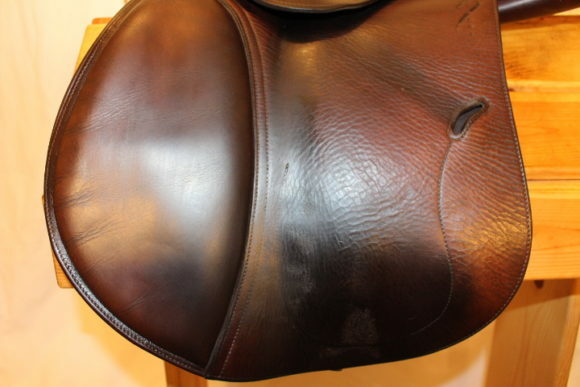 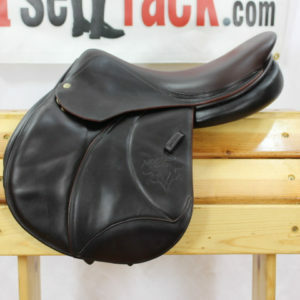 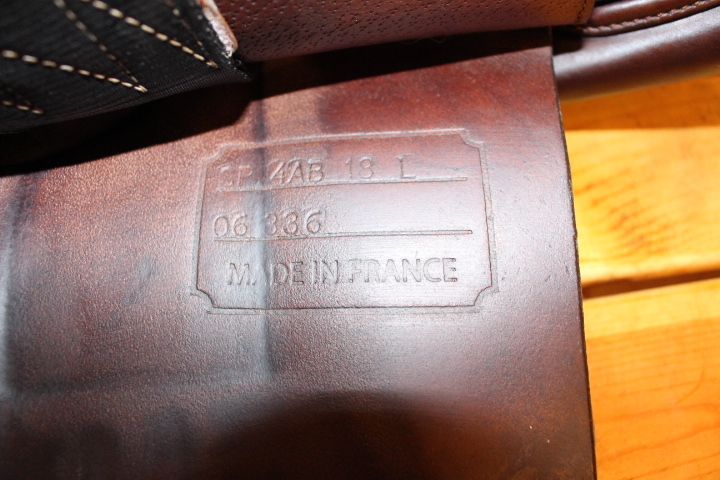 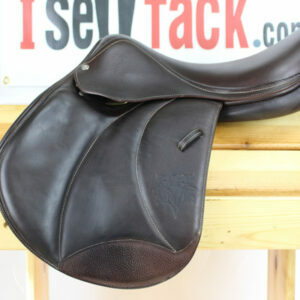 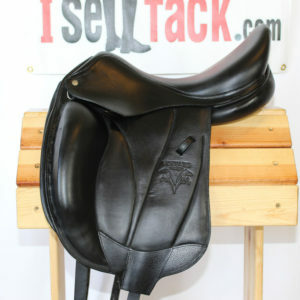 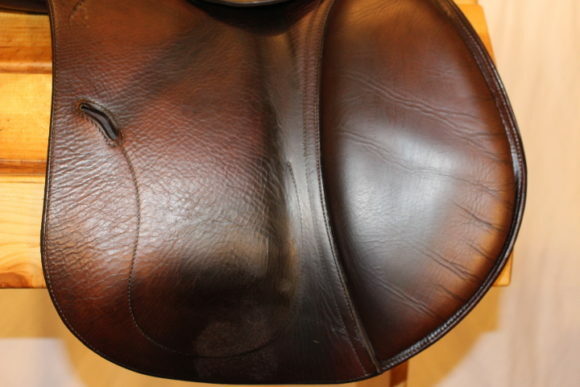 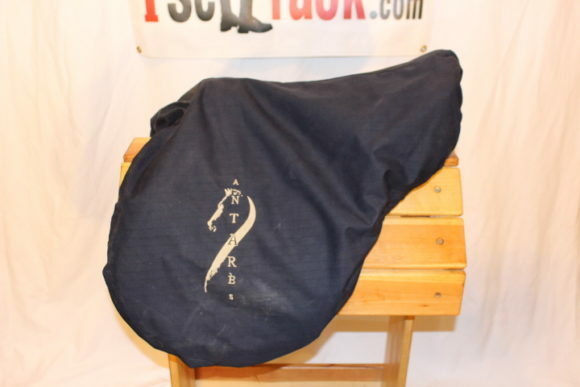 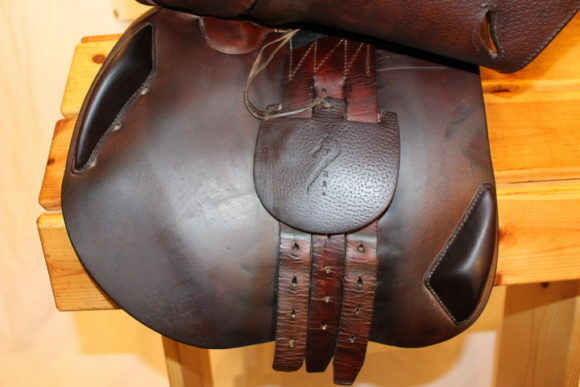 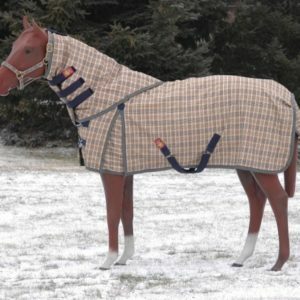 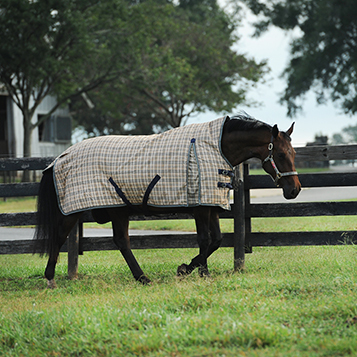 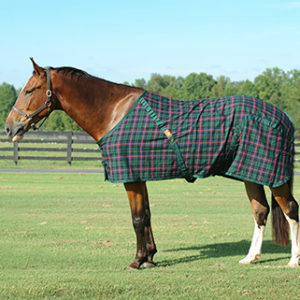 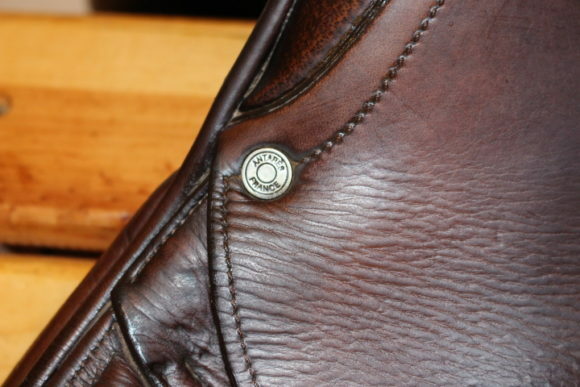 Saddle sells with Antares saddle cover. 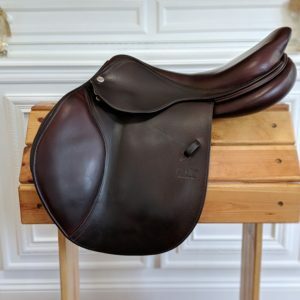 Trial it today!